SleepWeaver Advance Small only comes in the Beige color displayed to the left. The launch of the SleepWeaver Advance Small Soft Cloth PAP Mask marks a revolutionary alternative for Continuous Positive Airway Pressure (CPAP) users. 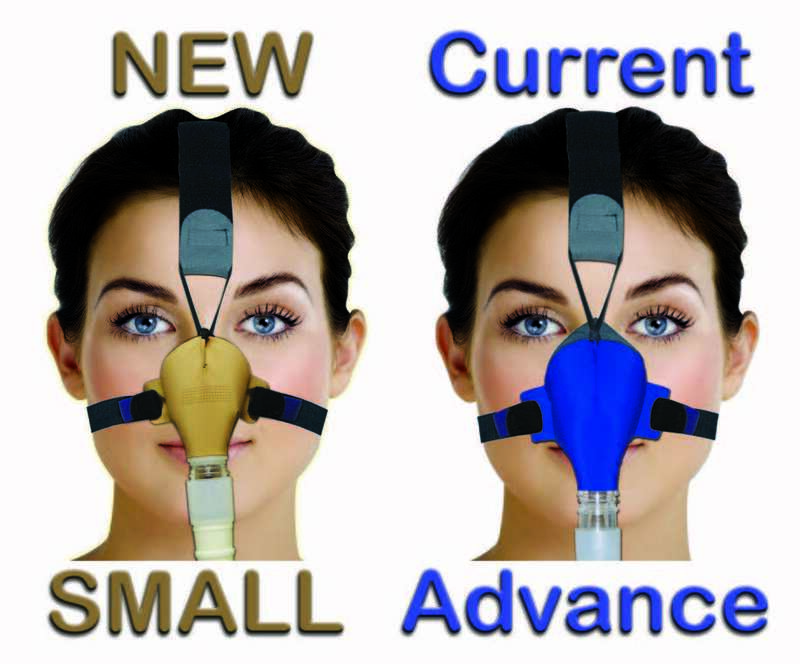 This new configuration extends the range of SleepWeaver Advance to include CPAP users with smaller facial features. 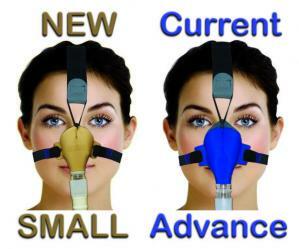 SleepWeaver Advance Small is about 15% smaller than the current Advance mask and is indicated for use with CPAP, Bi-Level and Auto-titrating systems on patients over 30 Kg (67 lbs). SleepWeaver Soft Cloth CPAP Mask Quick Fit Tips from Circadiance LLC on Vimeo. Click here to view SleepWeaver Advance and Advance Small Quick Fit Tips from Circadiance LLC on Vimeo.